It is important to understand that there are three (3) different types of wills. A will can be notarized, holographic or made in presence of witnesses. The probating of a will is a concept that exists uniquely when faced with a holographic will or a will made in presence of witnesses. However, a notarized will does not need to follow the probation step as the notarized will is an authentic act where the recital of the facts that the notary has the mission of recording makes proof against all persons in accordance with section 2818 C.c.Q. 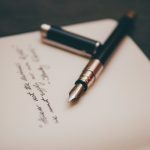 The probating of a will is a procedure that has the goal to identify the author of the will (testament), to confirm the death of the deceased and to confirm that the last will respects the formal requirements required by law. Therefore, the courts determine whether the formalities have been respected rather than concluding at this stage whether the will is valid in its substance. Consequently, questions regarding undue influence or captation or the mental state of mind at the time of the writing of the last will such as the aptitude of the testator in respect of the deceased shall not be considered at this stage. In other words, it would still be possible to contest the validity of the substantive conditions of a will after the will has been confirmed, verified, validated and probated before the courts. The holographic will is the simplest will to draft since it is the least formalistic as opposed to all other wills. According to article 726 CCQ, the holographic will has to be entirely hand written and signed by the testator. Therefore, the testator has a very proactive role since it is requested from him/her to personally fulfill some of the drafting steps in order for his/her testament to be valid in regards to its form. For instance, the testator shall draft and personally sign his/her will with his/her own hands. Yet this criteria has been modulated by case law, as shall be described below. A will made in the presence of witnesses allows for the intervention of third parties. Article 727 of the C.c.Q. states that a will performed in front of witnesses can be written by the testator or a third party. The testator has to sign the will in the presence of two (2) major witnesses. It can also be signed by any third party, in the presence of the testator. As soon as the testator signs the document, the two (2) witnesses must sign respectively in the presence of the testator. In theory, probating a will is used in order to assure that the formal conditions of the will under examination are indeed followed. A will may nonetheless be validly verified, even if the conditions have not been followed in their full integrity. Overall, a will may be probated even if it does not respect entirely the conditions of formalities imposed by law. In the case of holographic will, the courts deem that the essential conditions are the writing of the testators’ will and the signature of the latter. Kaouk (Succession of) v. Kaouk, illustrates such a principle. In this decision, the deceased had prepared a second testament in front of a witness. As time went by, the testator had respectively inscribed on three (3) different adhesive tabs with three (3) different versions modifying the initial will performed in front of the witnesses. These adhesive tabs were stuck on the first page of the will prepared in presence of the witnesses. The two (2) first tabs contained the following information: the legacy, the date and the signature of testator. These two (2) documents were validly verified as being a holographic will. The third tab included the legacy and date, however lacked the signature of the deceased. The Court of Appeal decided to reject the last holograph will since it lacked one of the essential conditions of form due to the fact that it may not be corrected by article 714 C.c.Q. Therefore, the presence of the signature of the deceased is an essential condition in order for the will to be probated. 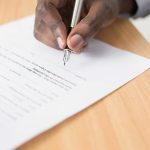 Although the signature does not appear to cause a problem in the level of interpretation, case law has opened the doors to certain exceptions in regards to different methods in drafting a will. In the case of Dunsmuir (Succession) v. Wayland,the deceased had filled out, by hand a printed version of a will. The judge granted the motion to probate of a will, since the parts filled out by the testator translated undeniably his intention to bequeath his property. The case of Patton c. Cappa, concerning the presence of two (2) witnesses rendered by the Court of Appeal dealt with only one witness signed in the presence of the deceased. The court ruled that the presence and signature of two (2) witnesses was an essential condition in order to probate a will with success in regards to article 714 C.c.Q. In another instance, the motion for probating of a codicil was denied on the grounds that one of the witnesses did not sign in the presence of the testator but only later in front of another witness as stated in decision of the Bank of Nova Scotia Trust Company and Flanagan Smith. Hence, the judge concluded that the formal conditions in front of witnesses were not respected and therefore the probate of the codicil could not be supported by article 714 C.c.Q. All such wills need to be signed by the testator in presence of two (2) witnesses and that both these witnesses need to sign the will or codicil in this case immediately after the testator has finished writing and in their presence. As mentioned earlier, probating of a will and/or codicil, if accepted, only confirms the last wishes of the deceased and becomes the official last will and testament. What happens when a motion to probate a holograph will/codicil or a will made in presence of witnesses is rejected? The will is deemed to have never existed. 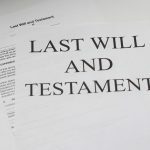 Therefore, if the deceased had a previous valid will, meaning either notarized, holograph or in the presence of witnesses(which had been probated), this will would be considered as being the last will and testament to be used to distribute the estate. In the event that there is no prior will, the rules of succession without a will or the rules of ab intestat will be applied.